10 Myths About Male Pattern Hair Loss - How to treat hair loss effectively? Anecdotes about why hair loss happens and who it happens to are everywhere from mommy blogs to lifestyle magazines, but what’s the truth behind male pattern hair loss? 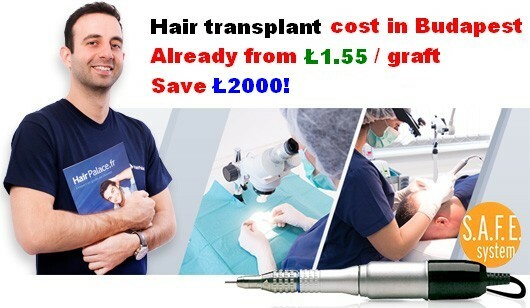 Find out how hair transplant procedure can help men suffering from receding hairline or thinning hair. To shed light on the most common myths about hair loss, let’s take them one by one and debunk them once and for all. While there are instances when prolonged stress and traumatic events can cause temporary hair loss, stress has nothing to do with male pattern baldness, which is either hereditary or it can be caused by a genetic sensitivity to Dihydrotestosterone. No, you’re not. A clean hair is a healthy hair and cutting down on shampooing frequency won’t miraculously regrow hair that’s lost because of male pattern baldness. Plus, shedding a few hairs when shampooing is normal. Forget about it! Using hair styling products has nothing to do with pattern baldness, so style away! If only you’d worn less hats during the winter, maybe… No, hats do not inhibit hair growth or destroy hair follicles, so you can leave your hat on! While going out in the sun without protection is problematic to the health of your skin, there’s no link between exposure to sun and male pattern hair loss. Therefore, you can soak up the sun without worrying that it will cause hair loss but do wear sun blocker to protect your skin! #6 It is What It Is – Everybody Goes Bald By 50! Male pattern baldness can appear as early as in your teens; therefore, age isn’t the number one factor to cause hair loss. Still, a significant number of people will experience hair loss at some point in their lives but saying that everyone will go bald by 50 is not exactly true. 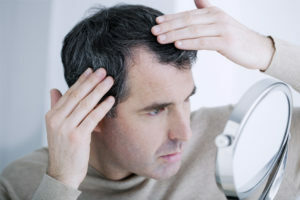 According to research, over 60% of American men will experience some form of male pattern baldness by age 35, and over 80% of men will have significantly thinning hair by the age of 50. This myth has been, in fact, debunked by several research studies that examined the link between pattern baldness and high levels of testosterone. The studies concluded that testosterone is not to blamed for pattern baldness and that a genetic sensitivity to a testosterone by-product, Dihydrotestosterone, is to blame for androgenic alopecia. Another common hair loss myth is that bad blood circulation in the scalp is what causes hair loss. Indeed, healthy hair does need good blood circulation in the scalp. 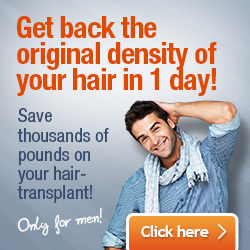 Bad circulation, however, is not a cause of hair loss. It’s the other way around – pattern baldness causes bad circulation. This may be the most unsubstantiated myth about hair loss and it’s right up there with masturbation causes blindness, another myth that seems to be popular among certain groups. Good news – masturbation does not impact hair or vision in any way whatsoever. Androgenic alopecia is hereditary and the genes that passed it down to you, could come from either side of your parents. As you can see, there are many myths and rumours about hair loss. However, if you check the science, you’ll see that most are just something that people say.